What's your service fleet saying about your business? A lack of branding—or worse, cheap-looking branding—can cause potential customers to pass you by when they're looking to hire a plumbing, gas, electrical, or fire & security business like yours. Why pay for professional signage when a nice, white van is so much cheaper? These experts have the reasons. A well-designed service van creates confidence and trust. "From a customer's perspective, their concern is avoiding a 'cowboy'. They don't want to lose money to a trader who disappears after doing a bad job, or no job at all. Think from that perspective how a blank van looks versus a sign-written one. Which tradesperson is more likely to disappear or not care about their reputation?" —Barry Gibbons, Director of Van Signs Online Ltd, a UK-based vehicle sign manufacturer that lets you quickly and easily create your own designs. "Having an easily identifiable vehicle can act as a theft deterrent, according to Confused.com, which can potentially contribute to cheaper insurance premiums." Jeff Bufton, Operations Manager at Signs Express, which has over 65 production centres across the UK and Ireland, each with a dedicated vehicle bay, expert fitters, and in-house designers. Vehicle fleet branding builds credibility. "Professionally designed vehicle signage makes your business look credible and trustworthy, makes your vehicle stand out against any competitors without signage, and acts as a mobile advertising billboard." —Matt Green, Graphic Designer at Flamo Graphic Design in Australia, which offers custom logo design, graphic design, and branding. Vehicle signs reach customers where they are. 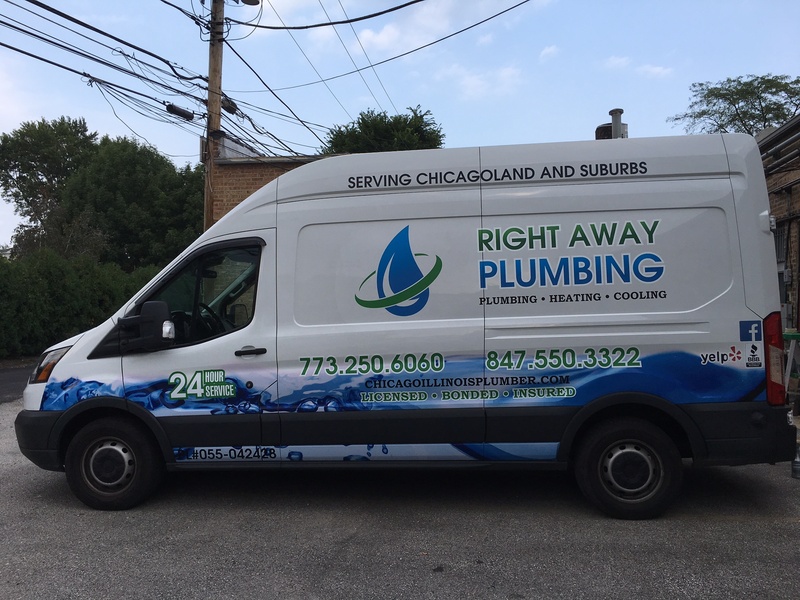 "Vehicle graphics are particularly important for companies like plumbers, electricians, and gas engineers, because most customers don't even go to their offices. 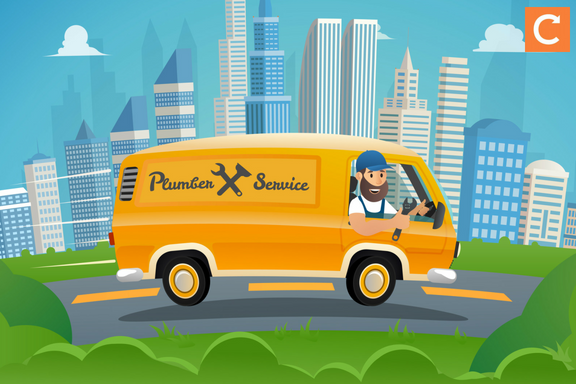 A vehicle parked on the street while the tradesperson is working at a customer's house can get thousands of views—so vehicle lettering can be extremely beneficial as these companies look to boost their presence." —Elizabeth O'Connor, Owner of FASTSIGNS-Lincolnwood, a US-based company that handles all of your business visibility needs—including vehicle signage. Care for your service fleet shows care for the customer. 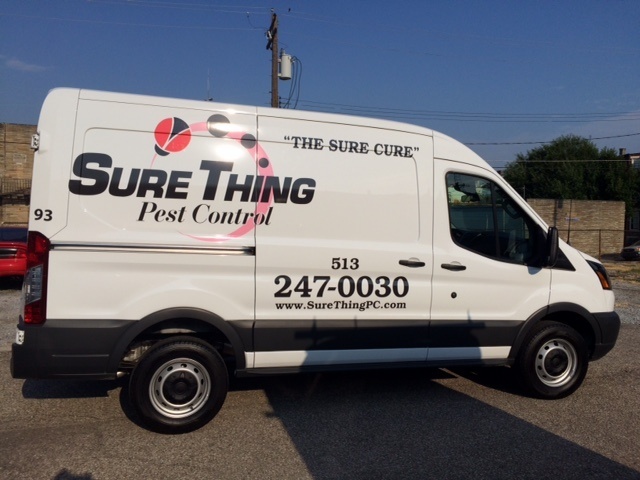 "Whenever I see a vehicle with signage that's professionally designed, it gives me the impression that the business owner knows how to take care of their business. This gives me the confidence that they'll take care of my house when I hire them." —Stan Tan, Digital Marketing Manager at Selby’s, an Australian printing and signage company with clients such as McDonald’s and Mercedes-Benz. Vehicle signage attracts millions of eyeballs. "The American Trucking Association estimates that a wrap on a trailer gets 10 million impressions every year. If your company is often driving around town for repairs and service calls, then not adding a wrap or graphic to your vehicle means leaving money on the table and missing countless opportunities." —Matt Fisher, Marketing Director at Decal Impressions, a US-based signage company that offers full or partial vehicle wraps and graphics, vinyl cut lettering, magnetic signage, and decals. Vehicle graphics are cheaper than other advertising. 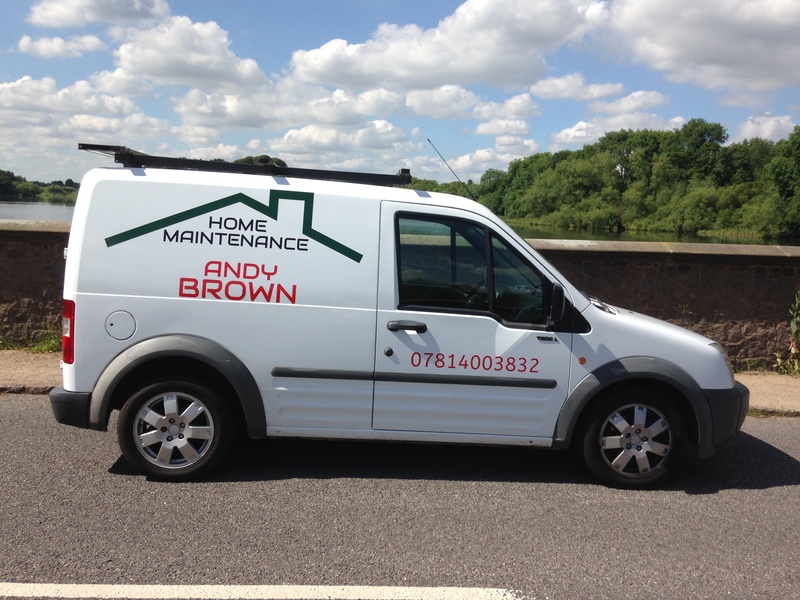 "Vehicle livery is one of the most cost-effective forms of advertising. A 3M study found that vehicle graphics had the cheapest cost per impression compared to other forms of traditional advertising, including television, magazine, radio, and outdoor advertising/graphics. With vehicle graphics potentially generating over 30,000 visual impressions per day, this mobile advertising option really does make an impact." "No one ever walks up to the driver of a blank van and asks for their business card." When you approach a vehicle signage designer or manufacturer, they'll need certain information from you to be sure you get exactly what you need. Our experts have some suggestions for what details to think about before beginning the process. "Prior to having vehicle graphics designed, ensure you have high resolution imagery, logos ideally in vector format, and any non-standard fonts ready to keep your brand identity consistent. Safety requirements should also be considered, such as reflective graphics as per Chapter 8 requirements for vehicles operating on highways." Measure twice, cut once (literally). "If you're getting a wrap, measure the van carefully for the space or there's a real danger that the wrap company will stretch and distort the art around door handles, taillights and headlights, license plates, and windows. Measure for the space as though it were a picture going on your living room wall; you wouldn't have a wall hanging going halfway across a doorway." —Judy Cutler, Art Director at Jess Perna Art Studio, a US-based company that creates hand-drawn digital art for vehicle signage and other branding. "Car magnets are a great option for businesses that want a quick, inexpensive way to brand their vehicles; they're easily removable and can be used among multiple vehicles. The disadvantages are that they can potentially fly off of the vehicle—especially if they’re not properly secured to a flat surface—and won't stick to non-steel surfaces. For businesses that want a more elaborate or larger design, vehicle wraps are an excellent option. Some of the most notable advantages of wraps are that they're durable, long lasting, and offer design versatility. As far as disadvantages, vehicle wraps can be more costly and require more maintenance than car magnets." —Ralph Askar, President and CEO of Instant Imprints, a US- and Canada-based leader in the apparel, sign, and promotional product industries. Offer details on what you want...but not too many. "If you have something specific in mind for your vehicle signage—for example if you know how much of the van you want signage applied to—it's important to let the designer know. You'll also need to provide basic details such as services, contact details, fonts, logo, and brand colours, if applicable. The signwriter will know what materials will be best for each application and can make recommendations to the business. Remember that the graphic designer is the expert, and given the right information will create the best result." "In addition to letting us know what information you want to put on your vehicle, we would need to know the year, make and model of the vehicle. It's also extremely helpful to know your budget; we can provide graphics from something very simple and economical to something very complex like a full wrap." Choosing colors, fonts, and styles can be a landmine of potential problems for a field service businesses. Follow our experts' advice to score a design that's attractive and professional. And for a good example, check out Warm for Life's vans—the Beeston-based plumbing, heating, and gas services company won Which? magazine's national award for Vehicle of the Year. "Primary colors stand out best at a distance. Also, it's important to have a stroke, which is an outline color, around the text; yellow with a black stroke stands out the most." "Fonts need to be simple and easy-to-read 'paragraph text'— fonts like Futura or Helvetica are good examples. Fonts that are flashy or decorative are going to be difficult to read, especially on a moving vehicle. If the business's branding already uses decorative fonts and low-contrast colours, you'll need to make a compromise. Include the low-contrast colours, but let the designer use additional colours to help them 'pop'. Use a more legible font on the vehicle signage and add it to your business's brand assets to be used from this point on." "Be consistent with existing branding, whether that's your website, Facebook, or promotional material such as flyers. I believe it's important in the conversion process that the customer knows they're dealing with the right business; having a mix of styles across different media could confuse the customer as to whether it's all the same business." "The most effective wrapped vehicles are those that have solid design and utilize good branding. (Craft breweries often do an excellent job utilizing their brand on their vehicle wraps.) This may be an opportunity to look at your brand. Does it need refreshed? What could you do better?" "The message should be simple. If it's too text-heavy, for example, it will be hard to read. The most important information should be the largest and very visible; typically this is the company name." "Avoid stock photos, as they're easy to spot and look unprofessional. Organise a photoshoot if you're planning on including any photography in your signage." 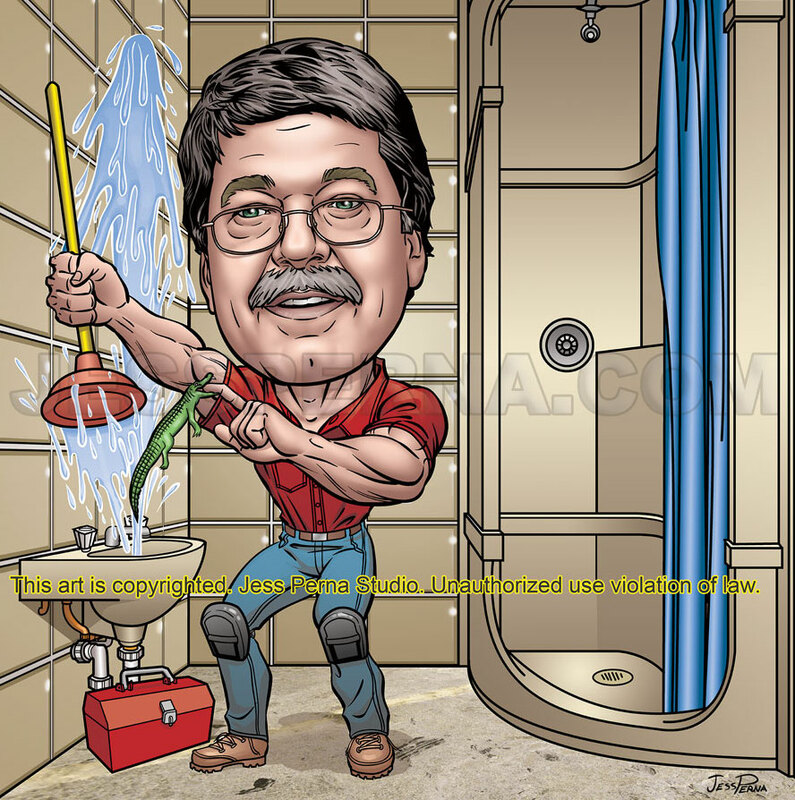 "Businesses owners like plumbers and electricians tend to like big head/little body caricatures because they gain facial recognition. Then, when they knock on the door of a client, they're recognized and the client is not fearful of allowing them entrance. They also get recognized in their area by people on the street, which helps with promotion." "Each element of the design needs space around it, which designers refer to as negative space. It gives more visual impact and makes the design look more premium. If you add too much information, the negative space disappears and you end up with a cluttered and cheap-looking result." "Consider: What makes you different than Bob’s Electrician down the road? Will your signage stand out in a traffic jam, or will the colors blend in with the other vehicles?" "What sizes will you need for your ad? Write up a list of potential uses: business cards, signs, billboards, truck or car wraps, door hangers, flyers, print ads, magnets, etc. It's important to order the largest size then reduce as needed, as using a small digital file and enlarging it will make it pixelate." "Stick to one or two main colours, with a possible extra accent. Use the same colours and font style for similar elements—for example, put all contact details in the same style—and differentiate the sections of the design by using different colours/font styles." More Reading: How to Create the Perfect Van Sign on The Telegraph. "Think about what's most important for you to communicate; this is typically the company name, your logo, and a means of being contacted like your website or phone number. If there's something special about the company that they want to promote, like 24-hour service, that would be excellent to include. Hours are probably less important because most trades work the same hours—unless people are on call round the clock, available weekends, or something unusual like that." Appeal to your customer base. "Businesses need to consider who their customers are, and what it is about the services they are offering that would appeal to consumers." "The two most important details are your phone number and your website. Emails will be too long, and people generally don’t remember them." Include social only if you're social. "If your company is active on social media (posts regularly, interacts with followers, etc.) then I would suggest adding your social media accounts. If your company is not active, then I would suggest that they do not add their social media accounts. You don't want to direct a customer to somewhere that's not a good representation of your company. An inactive social media account could deter a potential customer from hiring you." 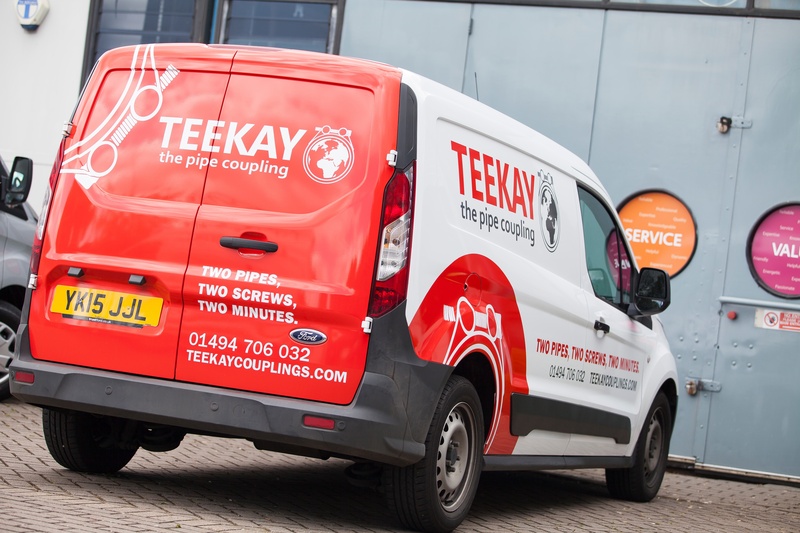 "Seventy percent of the time people will be looking at your van signage while driving, so it needs to communicate everything as quickly and simply as possible. I would include a web address as well as a very brief service description. If you have a web address on your van I'd leave the social media off, but otherwise it's OK to include it. I almost never include a phone number on vehicle signage because nobody will remember it or write it down, but a web address is easily remembered." "In theory you have around three seconds to capture the attention of a potential customer. The company name and logo should be easy to find for potential customers who may be looking at the passing van, and contact details clearly legible." "Avoid things that are likely to change, such as opening hours or pricing. Remember that the signs will last 5+ years." Our experts shared the most common mistakes they see field services make when it comes to service vehicle signage. Heed their warnings—and let your competitors be the ones driving around in shoddy-looking, typo-ridden vans. "The main mistake is chasing the best price and assuming all signage is made equal. The materials may look the same, and when newly applied they will all look great, but it's one, two, or more years down the line that the quality of the material shows. Choosing the cheapest price nearly always means choosing the shortest lifespan—there are plenty of vans out there with faded out signs as they weren't properly laminated, or with peeling off pieces or a 'dirt border' around the lettering where the material has shrunk back, leaving the adhesive for dirt to stick to." Writing a novel on your van. "The most common mistake tradesmen make when getting their vehicle signage made is including way too much information. A huge list of services crammed into a small space along with all of their contact details always looks terrible, and results in a jumbled mess that's hard to read. Keep it simple!" "Proofread the proof. It's surprising how many people get their own phone numbers wrong!" Vehicle fleet signage can be a major expense. You now know that cheaper isn't always better...but what if you really do need to keep your spending down? Here's what our experts suggest. "I'd say it's better to have less signage in better quality material, than to go cheap on the material in the hope of getting more on the van." Ask about more economical options. "By working with an expert signs and graphics company, companies can make sure they get the most out of their budget and minimise costs whilst still making a big impact on the road. Partial wrapping, cut vinyl graphics, and clever design can create stunning results for smaller budgets." "Self fitting is a good option. The fitting is easy compared to the work most tradespeople carry out day to day. It saves money, meaning reduced cost or better materials. Also, the fitting can be done as time allows, meaning your van doesn't have to be off the road while in the hands of a sign company." "Here's the thing: If you're improving your business in any way, it's an investment, not an expense. Professionally designed vehicle signage increases your brand awareness and will help you get more customers, so the investment is going to be reclaimed easily. It may only take a couple of jobs to recoup the entire spend." These tips should help you attract new customers. The next step in the evolution of your service van is to make those customers happy with real-time vehicle tracking, which will improve your engineers' on-time rate and shrink your service windows. Think you've got the van thing down? Download our free checklist "Are Your Service Vans Driving You to Success?" to make 100% sure your service vehicle fleet is professional-looking, effective, and secure.